Catherine says "I think this was taken in the 1920's . The only boy scout I know is Edwin Urquhart 4th from the right, middle row. Was the scout leader Ewan or Evan ? a name I seem to remember hearing?" Is this in Cromarty, and if so where? 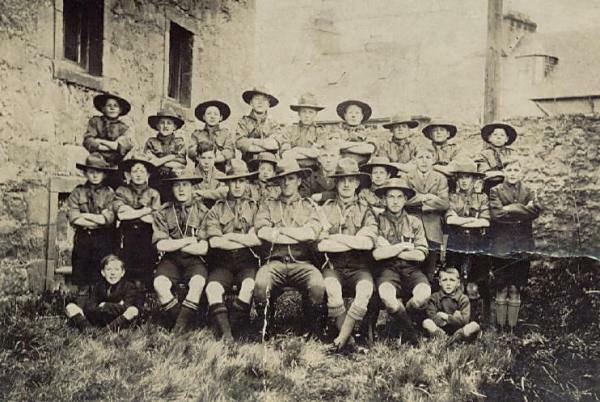 The scoutleader in Cromarty at the time was Evan Ferguson, and they met in the factory builidings which is where this picture was probably taken. We now have a larger version of this - see picture #2840.